Whisking is a technique of blending ingredients by hand to mix or fluff. It often serves to smooth the mixture or add air. It also helps to eliminate lumps in gravy often from the flour or cornstarch. A whisk is a kitchen tool, most often made of metal, with a long, thin handle with wire loops joined at the end that form a large teardrop shape. Some newer whisks are coated with plastic for use with Teflon pans, metal can scratch the Teflon coating. As we all know from our shopping trips into town, there seem to be a wide range of types and styles of whisks available to buy, but is there a real reason for this other than design? Yes. While the required results result is the same, in that it is used to blend various ingredients together or to beat air into a recipe, there are many reasons for different designs and styles of the common metal wired whisk. Whisks now come in all shapes and sizes and are made of a variety of materials, depending on their use. For example, one might prefer to use a dough whisk with a wooden handle for one job and an entirely different shaped end for blending together doughy ingredients in another kitchen application. A standard metal whisk would not be usable for this type of baking as you can understand, as it would not be sturdy enough to properly blend the ingredients. Other varieties of whisks include nylon whisks, which are gentler when used with non-stick pans. The nylon material will not cause damage to the protective coating. Their main feature, which sets them apart from the rest is that they can be used at high temperatures without risk of melting and damaging the rest of the ingredients. Again, silicone whisks have similar features, and are quite easy to clean. 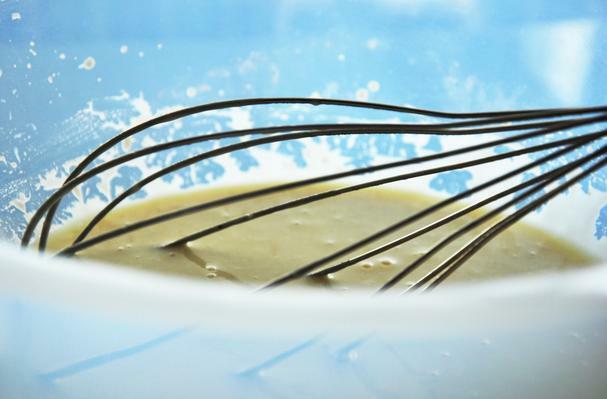 The silicone whisk is strong enough to not be damaged when being used in a hard metal bowl. Unlike some types of plastics, they will also not absorb colors and stain. They are also dishwasher safe. Another type of whisk has been made specifically for gravy with their metal wires placed very closely together as none of us like lumpy gravy with our Sunday dinners so we? Mini whisks have been created to give lighter, fluffier results when whisking eggs, cream and sauces. All of these can come with metal or rubber handles, but the latter is usually preferred for comfort when whisking for a long while. Why is it important to select the correct type? There are probably very few people in the world that enjoy baking and do not own an least one whisk. This is because it is a very valuable baking tool and holds great importance in every kitchen. Ensure that you make the proper whisk selection when you decide on the type of baking that you will be doing. Whisks can be used for beating eggs, whisking cake ingredients together and aerating meringues to ensure that they rise just the right amount. Many people never give the tools in their kitchen a second thought. They are the tools of the trade for people who are serious about their cooking however, and having the right tool for the job is always a good idea. Using the right tool for any kitchen job is important. You might also enjoy reading about choosing the right dispensers for use in your home.